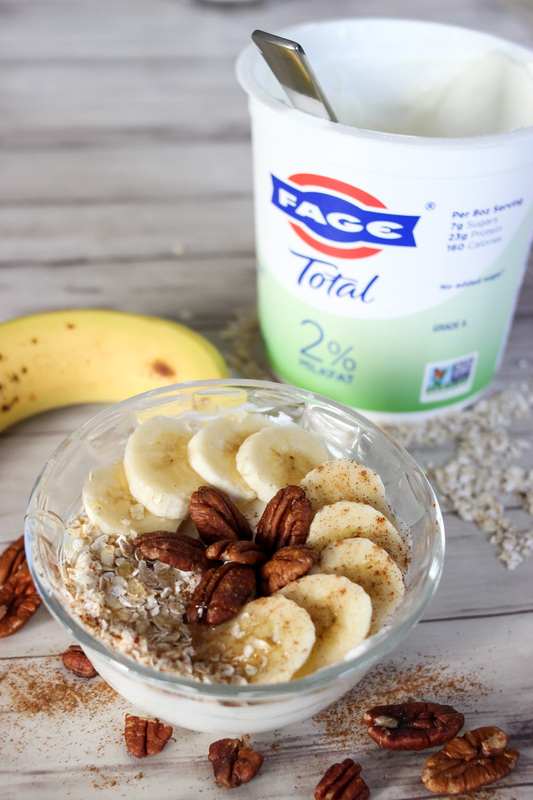 One of my favorite things about the start of a new year is that I feel excited and ready to get back into healthy eating after indulging during the holidays! 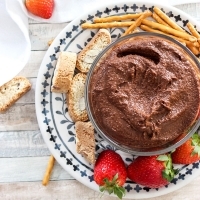 When it comes to eating healthier, our family is pretty good when it comes to our main meals, but snacks are an area that we struggle with most often. Too often we reach for more processed snacks that don’t really satisfy or fill us up so we end up snacking on more junk! While eating those types of foods now and then are okay (everything in moderation, right? ), this year I really want to clean up our snacking and focus on more nutrient dense foods. 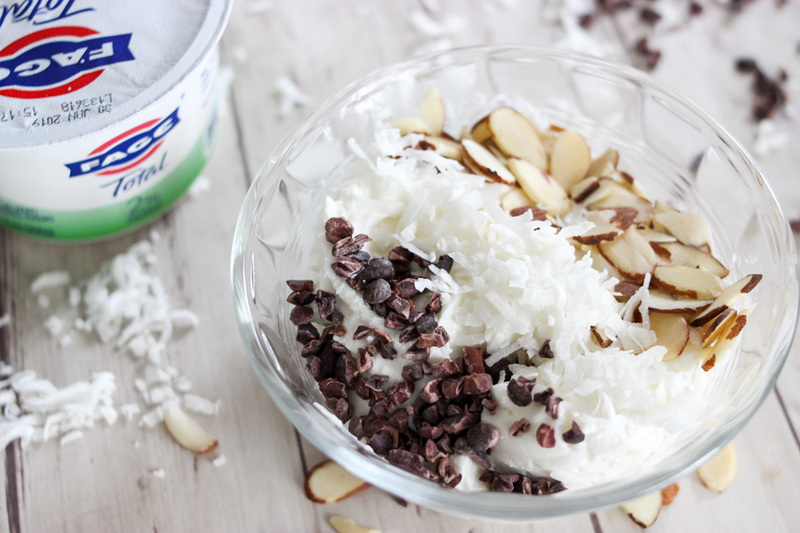 One of my all-time favorite snacks is yogurt bowls! 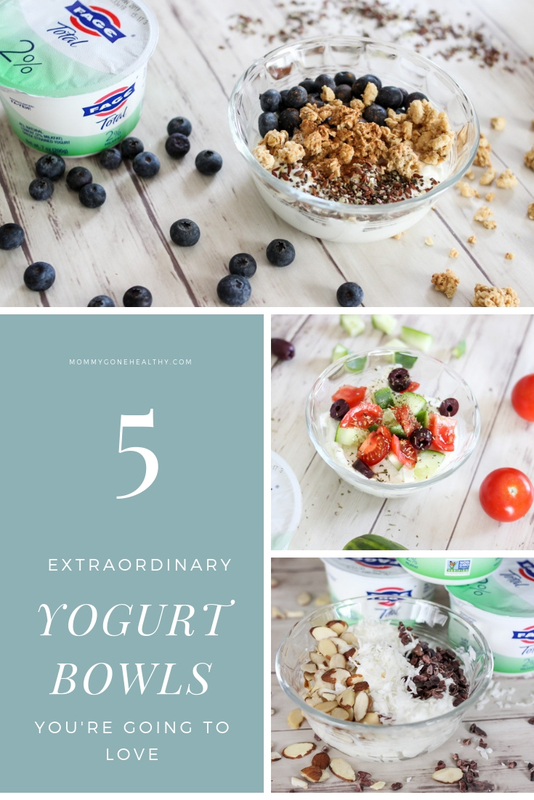 I love how there are so many different options and variations that you can create when it comes to yogurt bowls which makes them not only perfect for snacking, but a great breakfast or dessert option too. 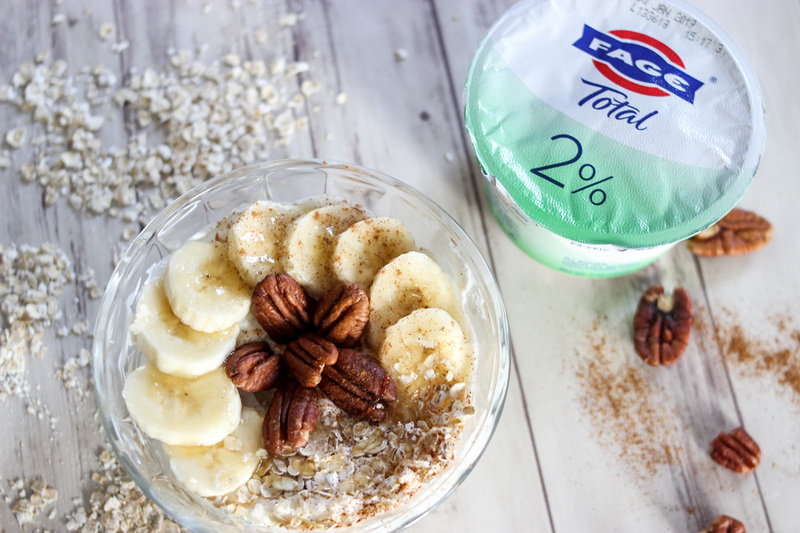 Whether you have a craving for something sweet or savory, there’s an option for you! 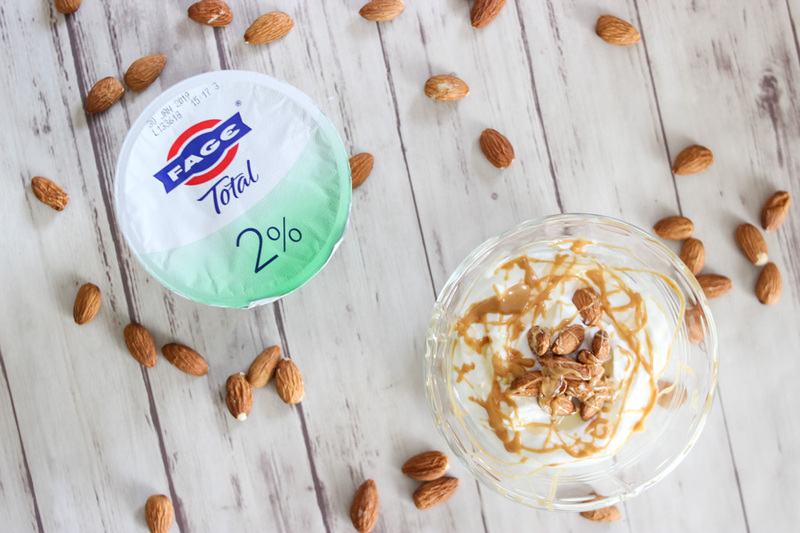 I always make my yogurt bowls with FAGE Total 2% all-natural Greek yogurt. 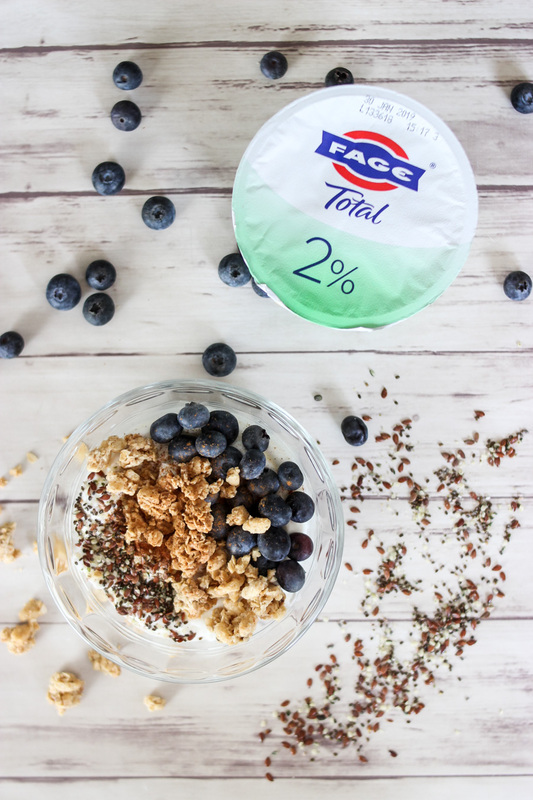 Non-GMO Project Verified FAGE yogurt has an ultra rich, oh-so-creamy and delicious taste that always hits the spot. The thickness makes me feel like I’m indulging in a decadent treat, especially when paired with some sweet mix-in’s! 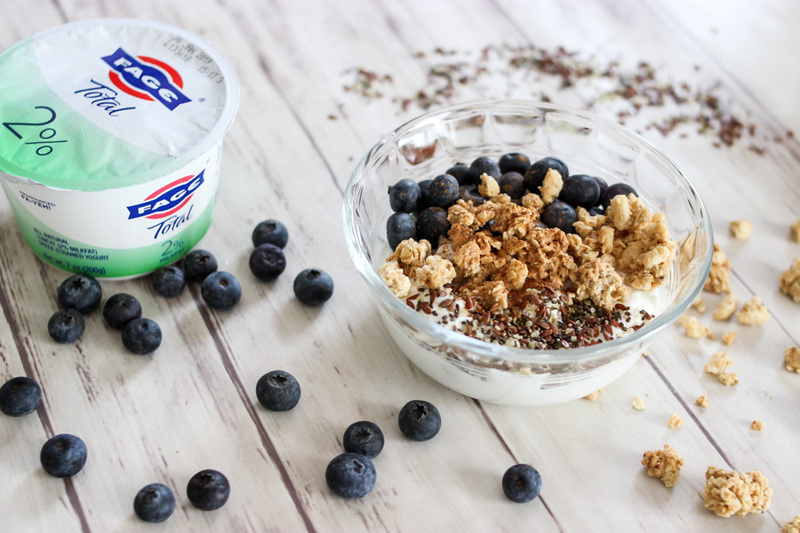 The great thing about FAGE yogurt is that it’s protein-rich and has no added sugars which makes it an ideal snack, plus it’s made with only milk and live active yogurt cultures — no funny ingredients or preservatives! 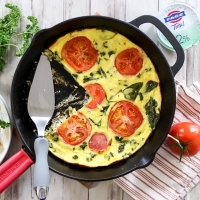 Protein is so important because it helps satiate your hunger and is an important building block when it comes to muscle and bones (which is why so many athletes turn to protein rich foods often). 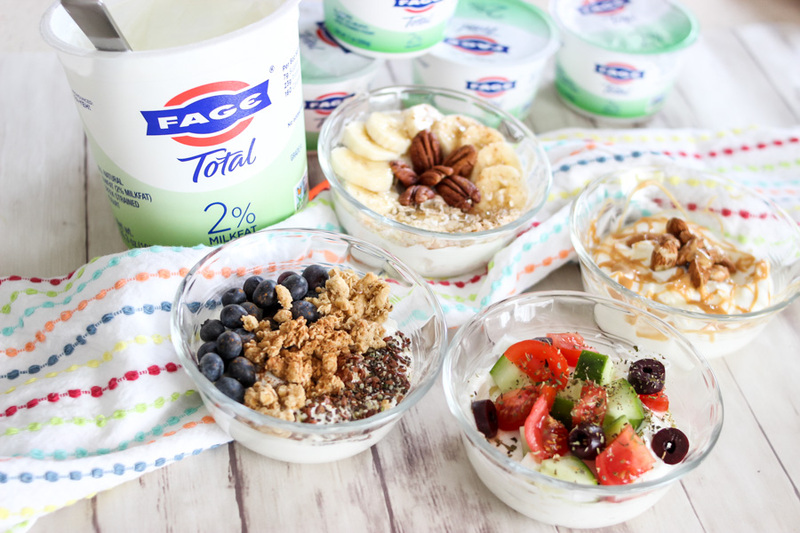 When you pair yummy FAGE yogurt with delicious, colorful toppings, you have a snack that taste delicious and fulfill your hunger. 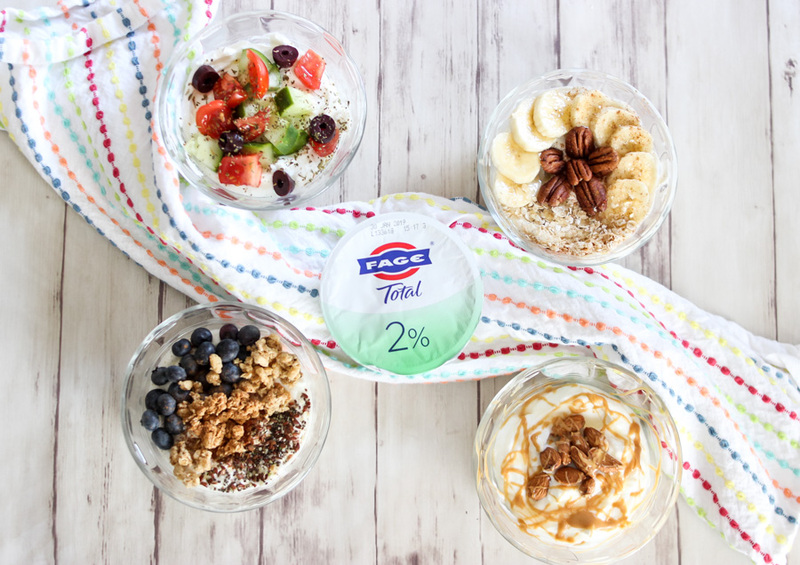 Battle healthy eating boredom with these 5 extraordinary FAGE Greek yogurt bowls! Anyone else getting hungry yet? 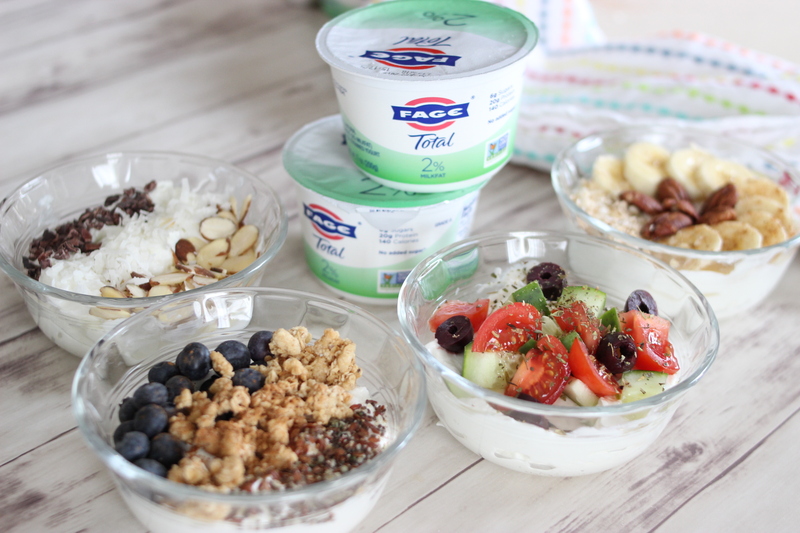 Which yogurt bowl is your favorite? 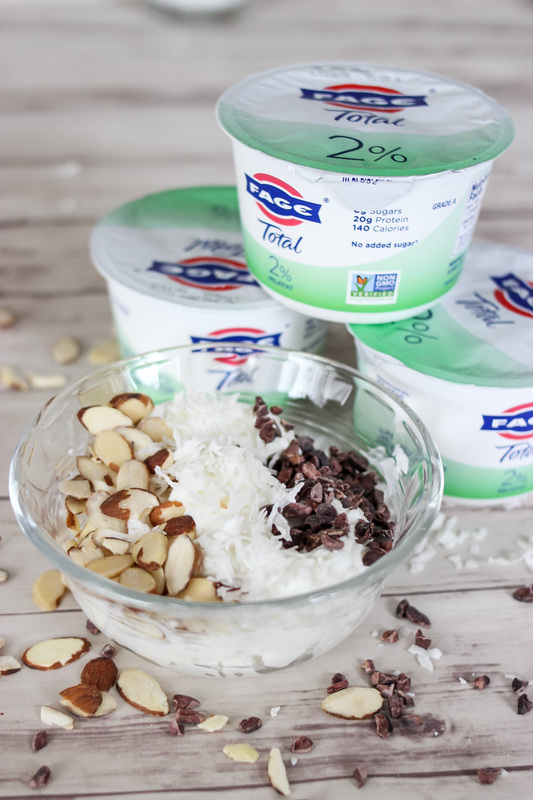 Share your favorite yogurt mix-in’s below! 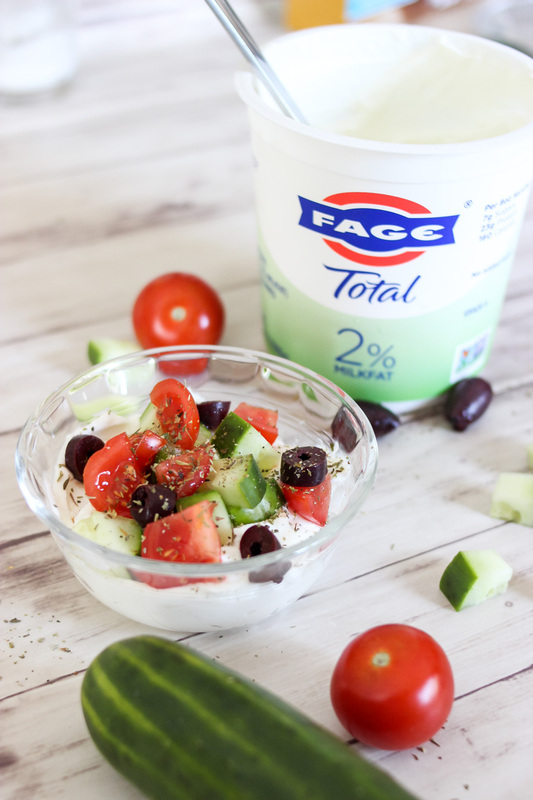 For more great recipes from FAGE, check out their website! I can’t decide whether I want to try the Greek yogurt everything bagels or the quiche with asparagus & leeks next. YUM! Totally agree with you on trying to snack healthier this year. 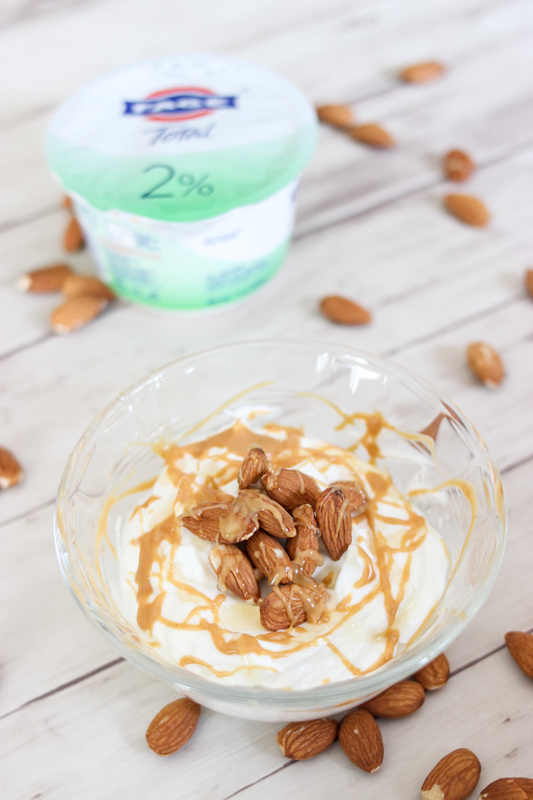 I love the look of the honey, peanut butter and almond bowl. Will be making this at home for sure! Yum these all look so good! 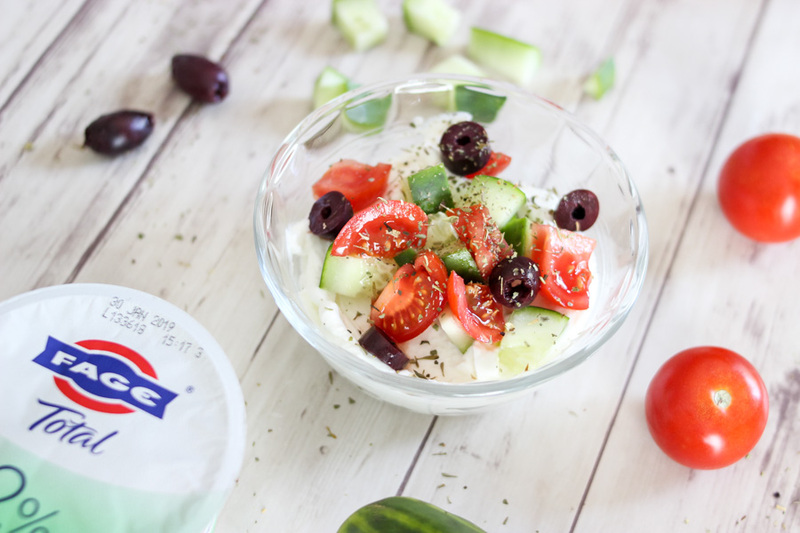 -I’ve never made a yogurt bowl that isn’t sweet so I’m interested to try the Greek one! Oh my gosh YUM I want one right now!! I would love them, especially that Blueberry Crisp!